Cheryl King has a Bachelor’s of Science degree in biology/psychology from Southampton College of Long Island University and a Master’s of Science degree in marine biology from Nova Southeastern University Oceanographic Center. Being on research teams in South Carolina, New York, Florida, Costa Rica, The Caribbean, Belize, Australia, Papahanaumokuakea, and Palmyra Atoll has greatly enriched her background experiences. 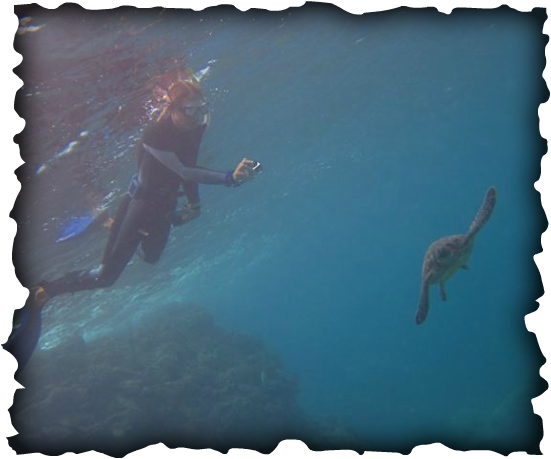 Although she is interested in everything ocean-related, she has specialized in Hawaiian endangered species research, rescue and management for the last 17 years. 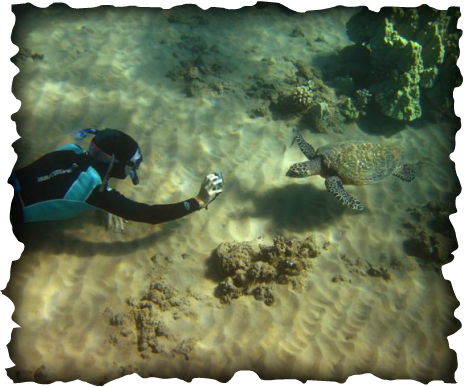 She has developed a deep passion for ocean conservation, especially for sea turtles while working closely with them for over 20 years. Along with a trusty team of snorkel and dive buddies, we have been searching for Hawaiian hawksbills and collecting sightings to contribute to the scientific knowledge of this critically endangered species. This resulting state-wide photo-ID catalog is a valuable key to understanding them. This has been a true passion project that has spanned nearly half of Cheryl's life, and it is her kuleana (responsibility) to continue to save sea turtles. Cheryl is currently on the Board of Directors for the Hawai'i Association for Marine Education and Research (HAMER), among other ocean conservation endeavors. Mahalo nui loa to all who have contributed sightings and helped along the way! Photos by Anita Wintner, Nani's biggest fan who will be so happy when Nani is found! Every hawksbill has a story, so click here to read about some of them. Don McLeish's photo of Cheryl and "Melinda", a hawksbill we've been monitoring since 2007. Showcased below randomly are Cheryl's 30 most recent Instagram posts. You can follow her feed here: @CherylSandyKing and @sharkastics. We're so grateful for the opportunity to work with such an awesome, dedicated Turtle Team!